Nothing beats a dreary Monday morning better than a fancy breakfast. I raided my fridge and was pleased to find avocados and tomatoes leftover from the weekend. What a perfect way to start the week. Remove 1/2 avocado from skin and place in a bowl. Mash with a fork to desired consistency. Add your favorite hot sauce (mine is Best Boy’s RedHead Hot Sauce) and mix until just incorporated. 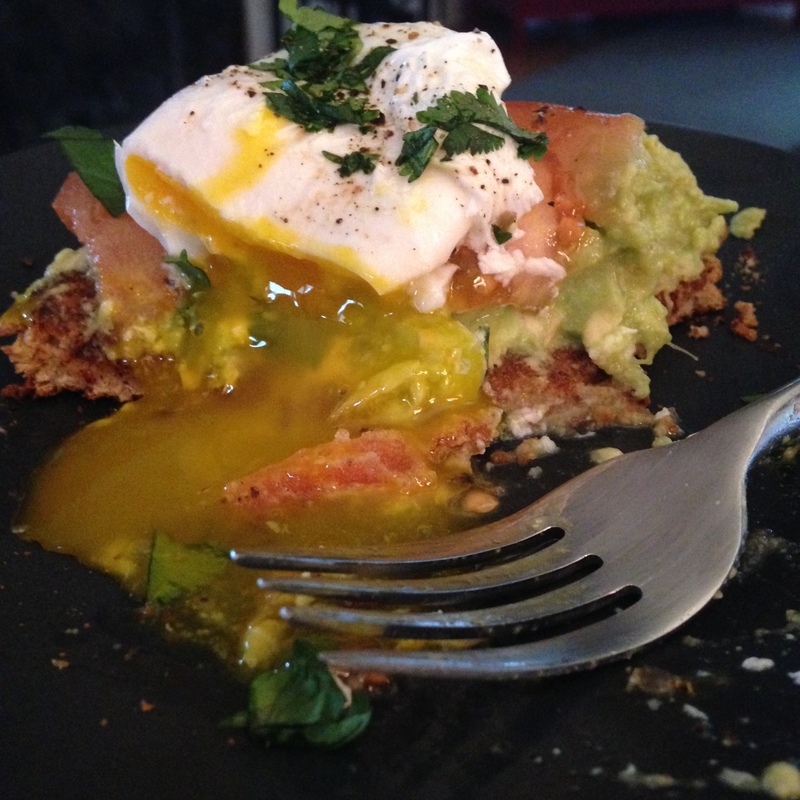 Poach your egg. I always use Alton Brown’s method. Works like a charm. Toast the bread and butter generously. 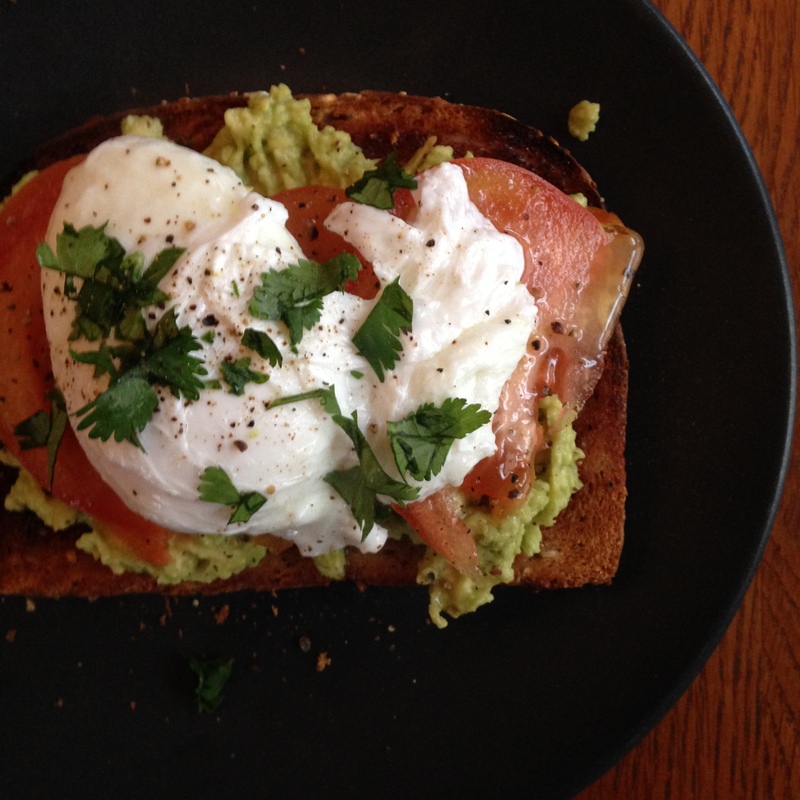 Top with avocado mash and tomato slices. When the egg is done, remove it from the water with a slotted spoon and allow excess water to drain off. Place on top of toast, top with cilantro and salt and pepper.